J S E - Electrician based in Pimlico, Hertfordshire. 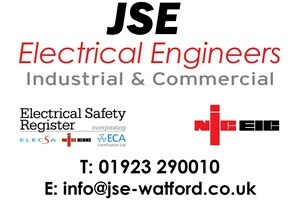 J.S.E LTD (John Small Electrical & Co) are an established professional Electrical company with over 25 years registration with the NIC/EIC dealing in industrial, commercial and domestic electrical installations. JSE have worked all over the U.K so will consider most industrial/commercial installations.